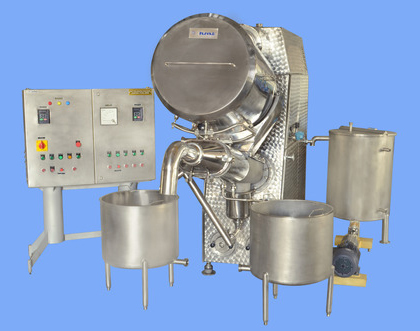 We are the chief Dairy Equipment Manufacturer of India and our high performance Ghee Making Equipment is one of our highly demanded products in the market and are known to offer very qualitative output. 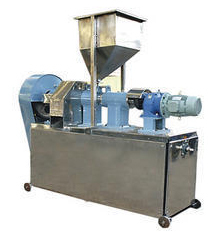 This machine is principally applied for extracting of ghee from the butter which incorporates the processes: butter melting, separation & clarification as well as filtration. Once these are done the final output is cooled and packed. These are accessible in numerous capacities and specifications and we can also make them as per the demand of our clients. Our machines that are resistant to corrosion and rust and carry out the extraction process with minimal wastage plus are very hygienic in the product production. These are also very durable and reliable. The completely automatic operation with user-friendliness is why they have great demand in the market. We offer them at incredibly affordable prices. We are the most renowned manufacturer of Butter Making Equipment and our products have immense demand in the international market too. 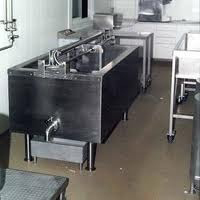 We are the leading Butter Making Equipment supplier of India. Our robust machines are manufactured making use of the optimal quality raw material, acquired from dependable vendors in the market. These are made as per the most cutting-edge technology in the market. Hence these offer rapid & smooth functioning with excellent output. These are quality tested and verified and so our clients receive only flawlessly operating machine that are also energy efficient and user-friendly, from us. Our machines can process sweet & sour cream for butter production and the entire process is very hygienic resulting into quality production of the butter. We offer these durable and consistently operating machines at very reasonable prices. 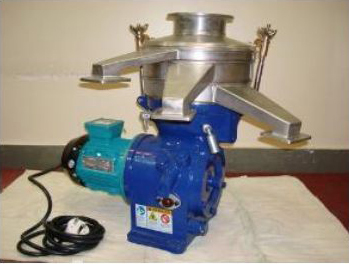 Our Paneer Making Equipment offer very rapid paneer production that is very qualitative. These machines due to their speedy operations offer high output. These machines carry out the coagulation of the milk by means of acid at high temperature and remove the whey produced completely by pressing the material. Our equipments are based on the most advanced technology and are made in adherence to the international quality standards utilizing the finest basic materials and components. The design and the make of the machine offer them excellent features such as fast, efficient and consistent performance, durability, hygienic, easy to operate, effortless maintenance, Power efficiency, safety etc. These are also quality tested under diverse parameters. We offer them at industry leading rates. We are the leading Cheese Making Equipment manufacturer of India and we offer machines for making diverse types of cheese such as Gouda, Cheddar, Swiss, and Mozzarella. We try to be the most advanced in this industry by adopting the leading edge technologies and keeping updated with the market trends. We also try to be qualitative by our strict adherence to the international quality standards. We also incorporate high quality materials for the production of the same and quality test them out to ensure that they operate faultlessly. 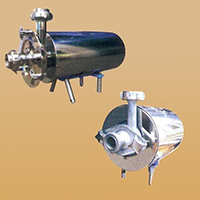 These are manufactured in diverse specifications and output capacities and we also customize them as per the needs of the clients. The aspects such as sturdy fabrication, anti-corrosiveness, user-friendliness, clean & hygienic processing and durability make our machines widely demanded in the International market. Our Cheese Making Equipment is broadly demanded in the countries like Switzerland, Italy, Canada, U.S.A and France. We are the most trusted Milk Measure Equipment suppliers of India and our products are considered as very reliable because these are calibrated by experts precisely and offer very accurate milk measurements. We offer them in both Jug and Straight Handles and are made in adherence to the industrial norms with quality food grade materials that are resistant to corrosion and rust. These are hence preferred for contamination free & safe measurements of the milk. These are verified for precision and durability before they are supplied to the market. Our Milk Measure Equipment has incredible demand in the market due to their salient features such as sturdiness, easy handling, precise measurements, corrosion resistance and high durability. We offer them at very reasonable rates. We manufacture and supply a broad array of Milk Laboratory Equipment for the precise determination of the quality of the milk, chiefly its hygiene and chemical composition which enables the dairy to offer standard quality of milk and build the brand reputation in the market. Some of our equipments include equipments for testing out the pasteurization accomplishment, bacterial content, and shelf-life estimates etc. These equipments are ideal for handling with ease and comprehensibility besides offering optimally precise outcome. 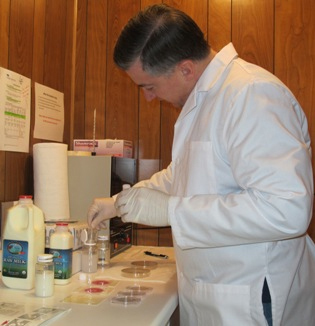 These have great demand in the domestic as well as international dairy laboratories. We are also the most reliable Milk Laboratory Equipment exporter of India mainly to the nations like South Africa, U.K, Malaysia, Philippines and Kenya.